National Impurities started as a writing project between friends involved in different projects, and decided to start recording and shooting videos. The group includes three New Yorkers, and one southern boy from Texas. 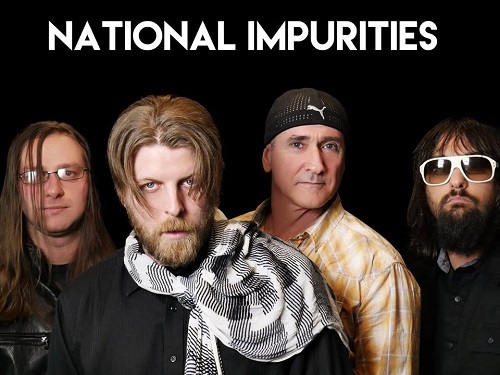 With influences from pretty much all genres, National Impurities produces an array of versatile songs. The group loves to party, and it shows in the music. The National Impurities is just now hitting the scene here in early 2017. IMP Your song 'Join Me' has just been added to Follow Radio station! IMP Your song 'This Weekend' has just been added to Follow Radio station! IMP Your song 'Hide My Pistols' has just been added to Follow Radio station! IMP Your song 'She's Mine' has just been added to Follow Radio station! IMP Your song 'Join Me' has just been added to Eve's New Life, Eve's New Station station! IMP Your song 'Join Me' has just been added to Featured Songs station! IMP Your song 'Hide My Pistols' has just been added to Voodoo Central station!